Project Update: Pumps and Plumbing! The water supply and pumping system is coming together! 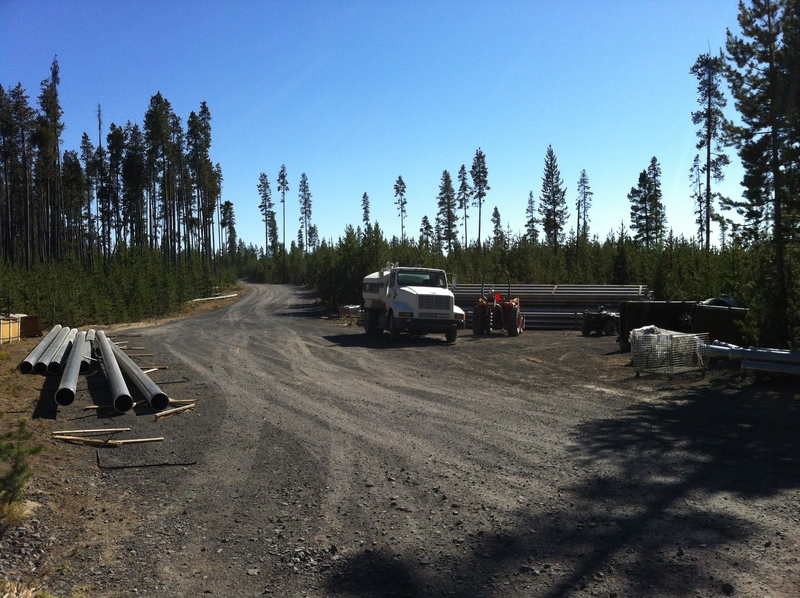 Irrigation pipe, like that pictured above, will connect the backup water supply well on Pad 16, about 2 miles away, to the tanks on Pad 29. 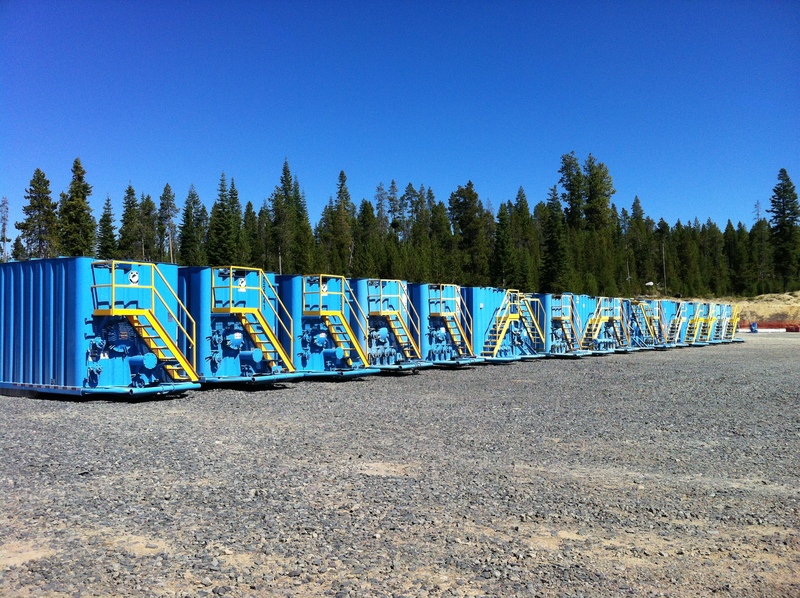 These 17 blue tanks in Pad 29 will hold over 300,000 gallons of water filled from the two water wells, before it is sucked into the stimulation pumps shown below. 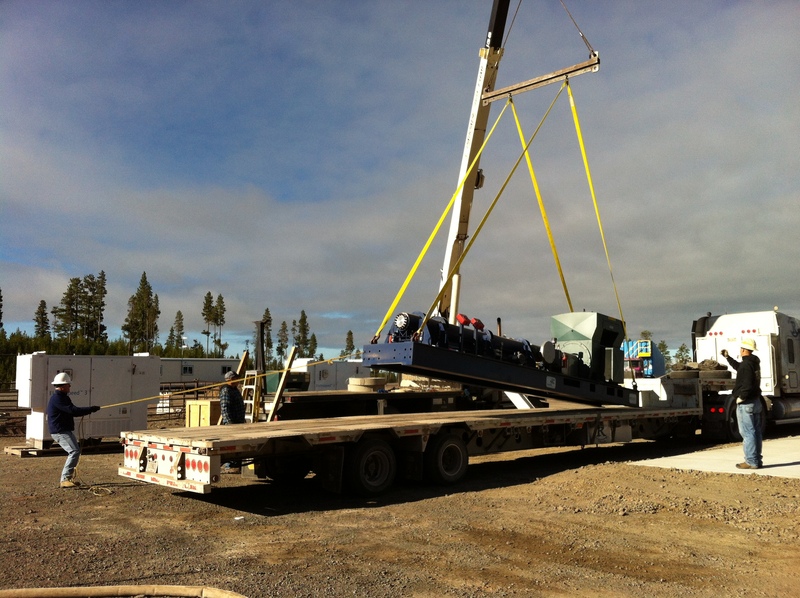 Workers unloading one of the two pumps that will be used for stimulation. The pump is a electrical, multistage centrifugal pump with twenty-four impellers mounted on a single shaft. This type of pump is well-suited to fit the requirements of the stimulation, running reliably at intermediate pressures (>1000 psi) and flow rates (>1000 gpm) for a long period (3 weeks). Diesel generators installed nearby will provide the electricity to run the pumps.